Promoted as the "Biggest Fitness Weekend of the Year", the BodyPower Expo delivered yet again in 2016, with a three day extravaganza that inspired and motivated more than 90,000 health and fitness enthusiasts. From the 13th to 15th of May, Origin Fitness exhibited as proud sponsors of the new Bodypower Gym. Hosting a variety of product demonstrations and inspirational seminars from leading names in the fitness industry, the BodyPower Gym was one of the busiest stands at the exhibition. Erin Stern, fitness expert and former Ms. Figure Olympia, opened the BodyPower Gym each morning with some fantastic exercise demonstrations and weight training advice. Kevin Levrone, who recently announced that he would be coming out of retirement to compete in Mr. Olympia 2016, made an appearance at the BodyPower Gym where he gave a very inspiring seminar on bodybuilding and setting fitness goals no matter what age you are. On Saturday afternoon Eddie Hall, the 4th strongest man on earth, gave a live deadlift seminar where he got members of the audience to participate in his deadlift challenge. 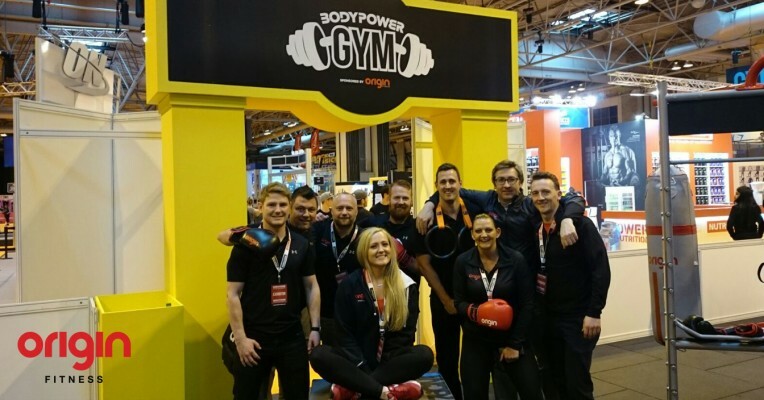 BodyPower Expo 2016 was a lot of fun for the Origin Fitness team and it was great to meet so many health and fitness enthusiasts during the three day exhibition. This entry was posted in Events on 16th May, 2016 by Craig Fleming.